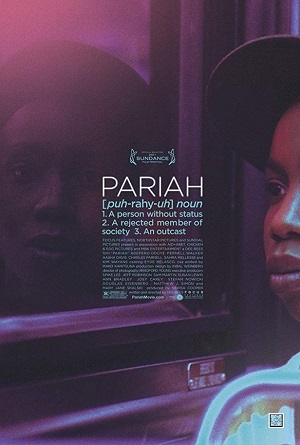 The first word I muttered under my breath after watching writer/director Dee Rees’ Pariah, an expansion of her award-winning short film of the same name, was, “Wow.” As I sat in the theatre letting the end credits crawl by I was thunderstruck by just how magnificent the film was. This shouldn’t have happened, I kept thinking to myself, the central story too familiar, too cliché. Yet there I was, flabbergasted to the point of awe, Rees achieving the unthinkable by delivering a motion picture equal to many of the greats I’d already seen throughout all of 2011. Why was I so surprised? For one thing, teenage coming out stories aren’t exactly new at this stage of the game. There have been plenty of them, some great, many of them solid and more than a fair share so reveling in cliché, stereotypes and melodramatic platitude watching another one was not especially high on my personal to-do list. This just didn’t seem like the kind of picture I was going to be interested in, part of me even considering not attending the Seattle press screening because preconceptions of the subject matter kept getting in the way. Good thing I didn’t let that stop me. 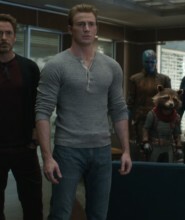 From the very first scene I could tell Rees was going to deliver something, while still familiar, refreshingly worthwhile. The opening moments pulsated with energy, dripped in authenticity, and right then I knew I was hooked, energized and eager to see what the director was going to show me next. Whose journey? Alike (Adepero Oduye) is a 17-year-old living in Brooklyn’s Fort Greene neighborhood with her smothering mother Audrey (Kim Wayans), doting NYPD detective father Arthur (Charles Parnell) and mouthy younger sister Sharonda (Sahra Mellesse). A solid student with a gift for poetry, she’s also come to the realization she’s a lesbian, something she knows her prim and proper mom will not be happy with. As I said, it isn’t like this story is very original. I could tell what was going to happen and where we were going to end up almost immediately. I knew there would be conflicts between Alike and Laura (Pernell Walker), an out lesbian trying to look out for her still closeted best friend, and it was immediately apparent t mother and daughter were going to have some trouble seeing eye-to-eye. Pariah still knocked my socks off. The genuine honesty of the story, the way it dove right into the heart of its characters, not just Alike but Laura, Sharonda, Arthur and Audrey as well, and the way it deftly showcases how the experiences of growing up are both universal and unique, all of this is astonishing. So many of the subplots felt deserving of their own film yet Rees never loses focus of the central thread tying everything together. It’s a fascinating drama, a dark, sometimes tragic expedition that breathlessly understands the hope that honesty with one’s own self can oftentimes bring. The majority of the performances are superb, especially young Oduye’s (who also starred in the short). There is an authenticity to each actor’s work that gives the picture a documentary-like quality that’s stunning. At times this felt more like a PBS dramatic showcase than an independently produced feature film, and there were moments that the insights Rees and her talented cast of newcomers were delivering that figuratively brought me to my knees in awe. One sequence in particular, a moment where Alike has her heart broken by a fellow teen she thought shared her best interests, spoke volumes, the tears I shed so honestly earned I wanted to revel in each and every one of them as they dripped down my face. There is an exception, and I almost feel bad pointing it out, but Wayans doesn’t quite rise to the same level of lived-in believability as the rest of the cast does. 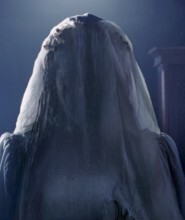 She’s the only one I felt was acting, the only one who seemed to want to play up the melodramatic aspects of her character and her relationships with her husband and daughter. She’s not bad, far from it if I’m being honest. It’s more that Wayans is the one who most feels like a cast member of a CW drama and not a documentary-like evisceration of such a personal story, and when compared to the performances delivered by her costars it just doesn’t measure up. Still, Pariah is all kinds of awesome. Rees shows moxie and skill behind the camera, confidently flaunting a fierce independent streak that allows her to take material as familiar as this and make it feel as if it were brand new. Alike’s journey is a harrowing one, filled with victories and setbacks, heartbreak and heroism, forgiveness and despair. Most of all, however, there is hope and there is love, and no matter how dark the night the light streaming from the horizon at dawn will almost certainly warm the cockles of even the most miserly heart.